Having whiter teeth is something countless people desire. Teeth can become yellow or stained with age thanks to tobacco use, certain medications, some foods, red wines and caffeinated beverages. 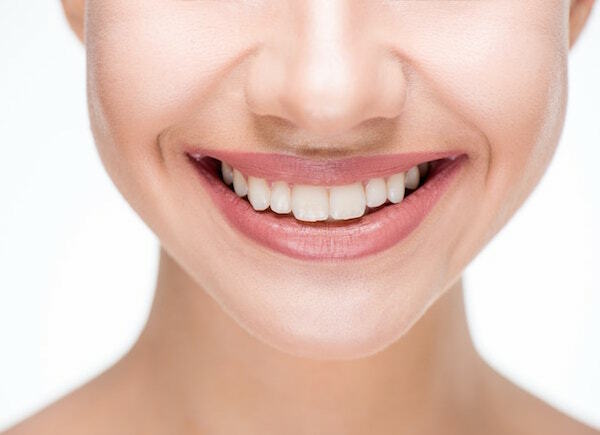 Teeth whitening treatments have expanded over the years to include whitening strips, gels and in-office teeth whitening. 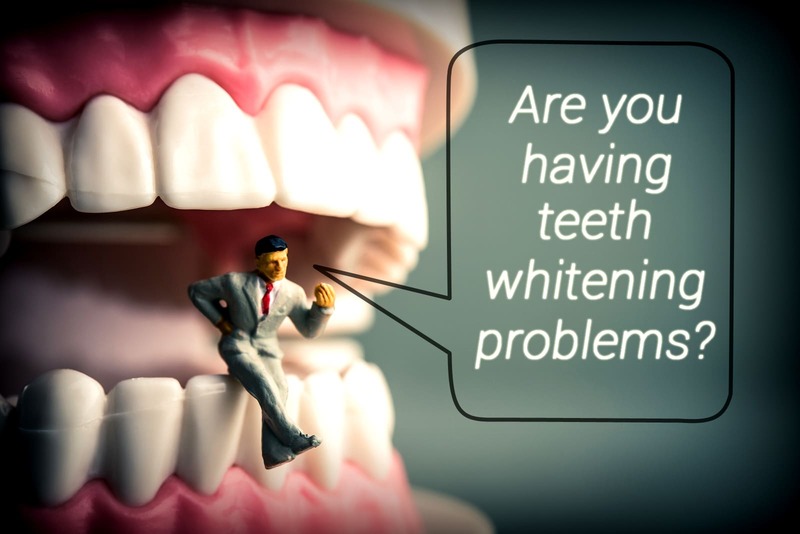 Although yellowed teeth generally respond well to whitening products, other types of stains may not. Brownish teeth and gray stains caused by smoking, medications and excessive fluoride may be resistant to whitening treatments. In attempts to gain a brighter smile, at-home whitening products are often used in excess by patients. What are some of the dangers of using teeth whitening products? Whitening toothpastes are generally mild and only work to lighten surface stains. They are generally not strong enough to make a significant change in appearance but improvements can be made over a period of time. 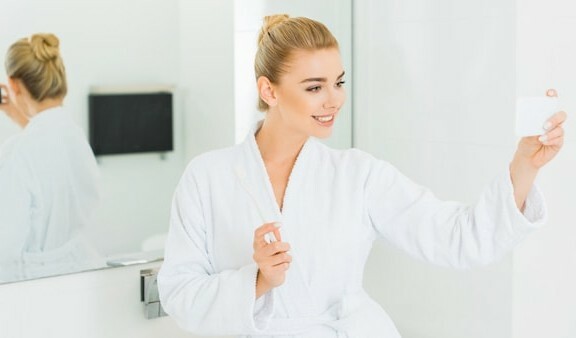 At-home whitening products, such as gel trays, contain a peroxide solution which acts as the bleaching agent that changes the color of the teeth. This solution is powerful enough to lighten surface stains as well as stains that are deeper. However, patients must use these products at specific intervals because too much bleaching can lead to undesirable side effects. For the safest results, always follow the directions on how often and how long to use the product. These side effects are usually temporary and subside with time. In rare cases, permanent damage of the tooth’s enamel can occur with excessive use of whitening kits and whitening toothpaste. 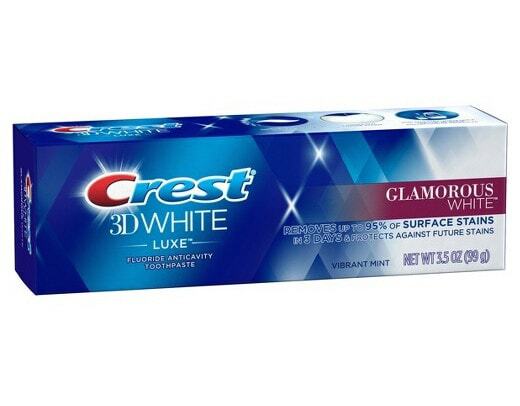 Furthermore, products that are left on the teeth for too long can cause over-bleaching. A good rule of thumb for whitening teeth is to look at the whites of the eyes and allow that to be the guide for whitening. It is important to heed the warnings with whitening treatments in regards to previous dental work. Composite dental fillings, or crowns, are made of materials unlike the natural teeth so they do not respond to the chemicals in whitening treatments. Patients with dental work in the front of their mouth may see a difference in coloration after whitening. A dentist may recommend alternative procedures such as veneers or dental bonding which can also provide whiter teeth. For patients who already have sensitive teeth, whitening treatments may not be an option. A dentist might be able to perform a procedure to treat sensitivity or recommend toothpaste designed for sensitive teeth. Keep in mind that regular dental cleanings, along with proper oral hygiene, can help remove surface stains and keep the teeth bright and healthy.